Editors Note: There is a graphic and 3 photos associated with this press release. It has been an exceptional year for the award winning startup Plum and its Co-Founder and CEO, Caitlin MacGregor. This month MacGregor closed a $1.7 million dollar funding round, celebrated 200% growth over the last six months and gave birth to her second child. "It's a helluva story about a female CEO that has incredible drive and has been awarded success both professionally and personally," says Alan Quarry, a Plum Angel investor from Golden Triangle Angel Network. Plum is a fast-growing, Waterloo-based startup that uses cutting-edge behavioural science and analytics to match job seekers and employers. 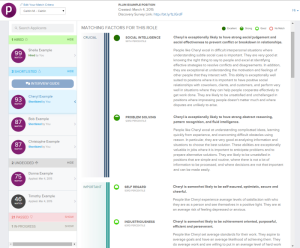 Plum's proprietary assessment removes bias, and gaming from the hiring process. MacGregor says, "not surprisingly, the flaws in the hiring system that lead to false conclusions are the same flaws I have faced personally when trying to raise capital. Women are measured on their performance, whereas men are measured on their potential." The biggest dip in fundraising occurred while MacGregor was in her final trimester of her pregnancy. When she returned in the fall, MacGregor was determined to close the funding round before the end of 2015. That has meant at least 40+ pitches and investor meetings over the last six months. She has covered thousands of kilometres to get in front of the right people and successfully closed a $1.7 million dollar funding round. "Pitching the investors is the easy part, we have a great company and we are growing fast. The hard part is the logistics. 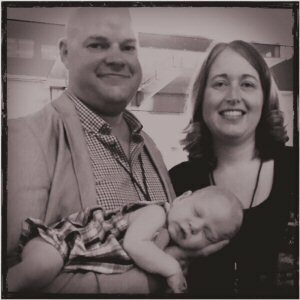 With a newborn, my husband and co- founder Neil is often in the caregiver role and has to accompany me. Fletcher (the baby), has travelled more kilometres in the last 5 months than most babies will in their first 5 years," laughs MacGregor. 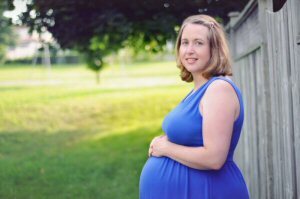 Before the final push for fundraising, MacGregor took six weeks off to give birth to her second child. When she returned to work she could have never predicted what would happen next. "It wasn't the timing you would expect after just having a baby, most would expect that to be the beginning of a downturn, but for Plum, it kicked off the most successful six months to date." Plum won the Gold International Stevie award for Best Human Capital Management product. It was inducted into the prestigious CIX Top-20 innovative companies, Startup Canada's second place winner for Ontario's most innovative startup, and a finalist in the National Angel Capital Organization's pitch competition. 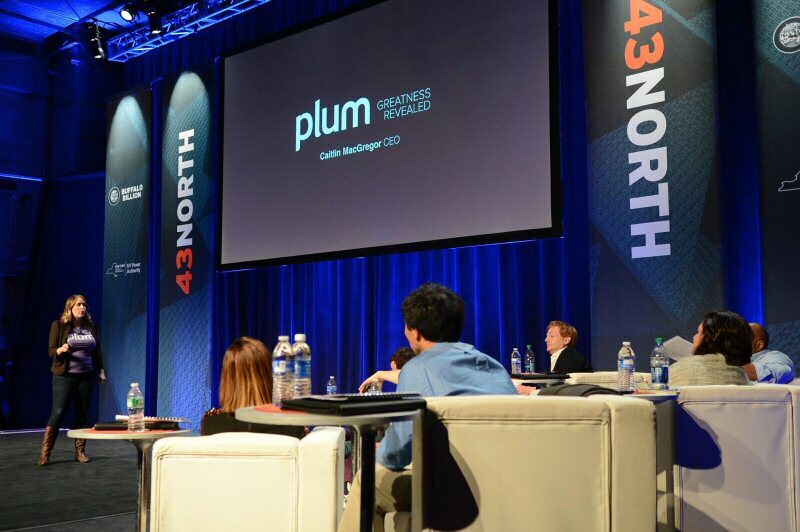 Finally, out of 11-thousand companies, Plum was named as a finalist for 43North, the world's largest business idea competition, and was awarded $250,000. "Working with Plum since 2013 I've watched Caitlin and Neil operate seamlessly as a team whether working on the Plum product or their investor pitch or raising a family, all while building a business under Caitlin's leadership," notes Frank Erschen, one of Plum's mentors at Communitech. "The dynamics are impressive and don't stop with them. The leadership team, including cofounder Christine Bird, reflects the same values, hardly surprising considering their business." The Co-Founder and CEO, Caitlin MacGregor, has a unique perspective on running a tech startup in a mostly male world. "I believe women can have it all," says MacGregor. "The tech world that I live in there are very few babies and even fewer pregnant women. I definitely stood out. But the best advice I got was to not apologize and stop justifying that I could I be a Mom and a CEO." While 2015 was full of highlights the Plum team has set high goals to continue to scale in 2016. Half of new hires fail within the first 18 months. 89% of those failures are due to attitude, not skill. Yet the hiring process screens applicants for skill based on resumes and interviews. Knowing an applicant has the right type of intelligence for the right job, is also key to predicting performance. Yet, along with behavior, this is very difficult to identify in the traditional hiring process. Plum has innovated the hiring process by offering it is data driven approach to help job seekers and employers find their right match. Businesses need to know who their applicants really are before they are hired. Determine the behavior and match to the position, and you can greatly reduce turnover. Plum asks a series of questions developed by leading Industrial Psychologists' research to assess applicants' problem-solving ability, social intelligence and behavioral priorities. 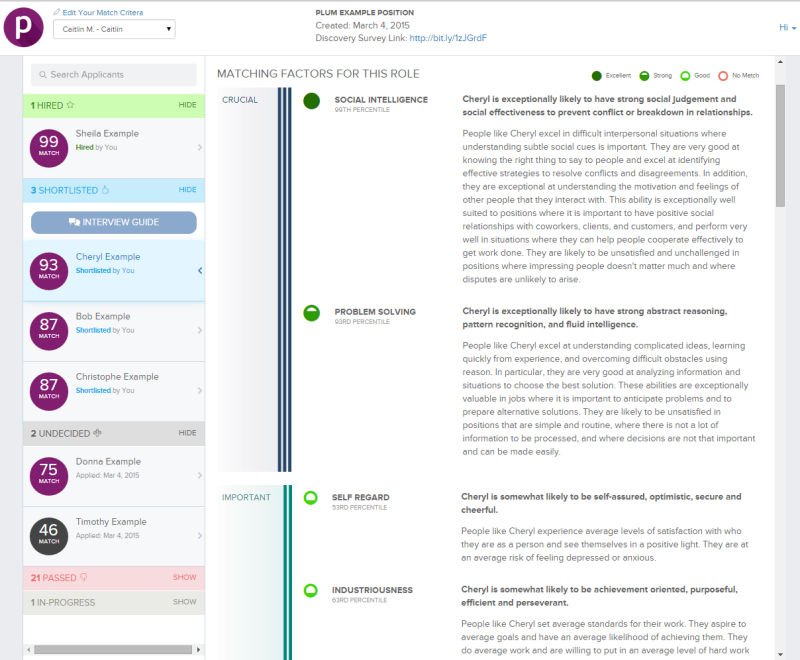 Plum's proprietary algorithms matches the behavioral and attitudinal needs of the role to the applicant's personality to produce a hierarchical Match Score. This allows employers to instantly identify the candidates who are the best matched to perform well in the role, before they are hired.